Cruise from the Scottish Isles to the High Arctic and see enormous colonies of seabirds as well as the antics of whales, dolphins and seals at sea and experience the cultures of the islands.. This is a technical and more strenuous activity for mountaineers who wish to reach higher grounds and view points. Mountaineers walk in rope parties under the leadership of a certified mountain guide mostly across glaciated environments in Antarctica. During the voyage there will be workshops for beginner to advanced photographers. There will be lectures on board as well as guided workshops on shore. The workshops are aimed at giving you a better insight into photography in these locations. An unforgettable voyage from Ushuaia sailing across the Drake Passage to the Antarctic Peninsula. Each day brings new wonders and adventure. An adventure to Antarctica with kayaking, camping, scuba diving, photo workshop and hiking. All of this with regular zodiac landings and cruises, something for everyone. 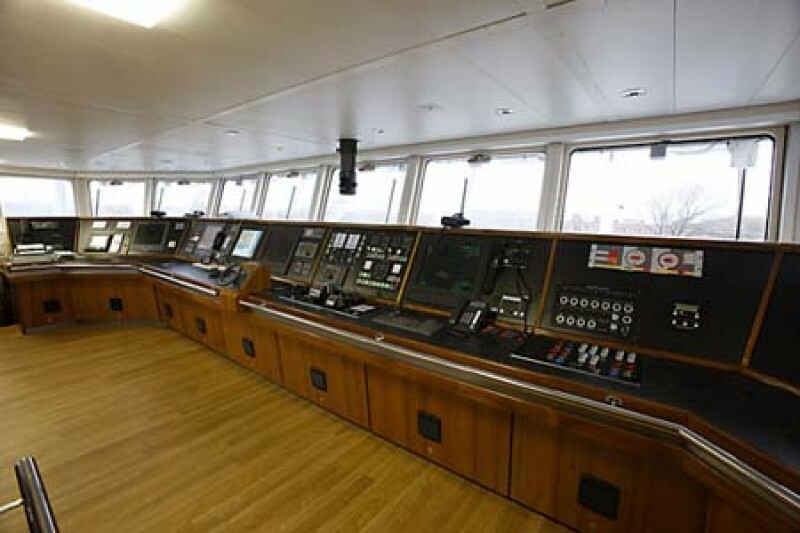 M/v "Plancius" is comfortable and nicely decorated, but is not a luxury vessel. The voyages in the Arctic and Antarctic regions are and will still be primarily defined by an exploratory educational travel programme, spending as much time ashore as possible. This vessel will fully meet our demands to achieve this. Activities available on Plancius include photography workshops, scuba diving, kayaking, hiking & camping and mountaineering. The vessel is equipped with a diesel-electric propulsion system which reduces the noise and vibration of the engines considerably. The 3 diesel engines generate 1.230 horse-power each, giving the vessel a speed of 10 - 12 knots. The vessel is ice-strengthened and was specially built for oceanographic voyages. 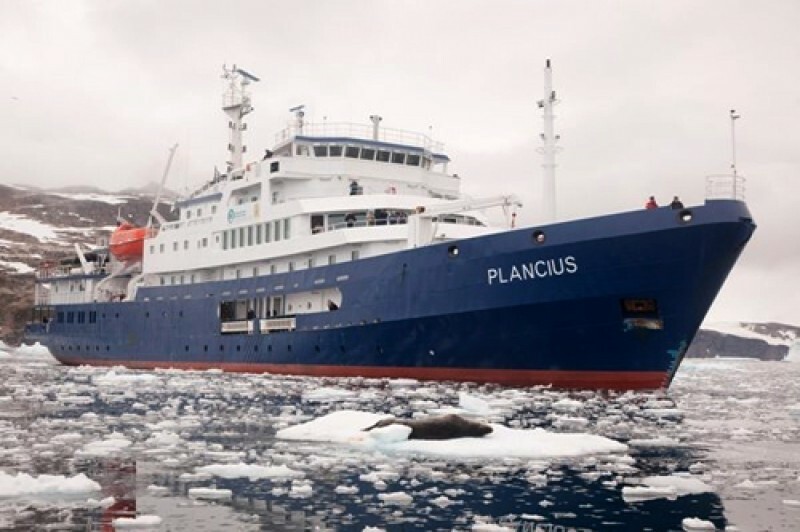 M/v "Plancius" is manned by 17 nautical crew, 19 hotel staff (6 chefs, 1 hotel manager, 1 steward-barman and 11 stewards / cabin cleaners), 8 expedition staff (1 expedition leader and 7 guides-lecturers) and 1 doctor. Private facilities with two single beds. Deluxe cabins are slightly larger than standard twin. Large cabins with private facilities and double bed. 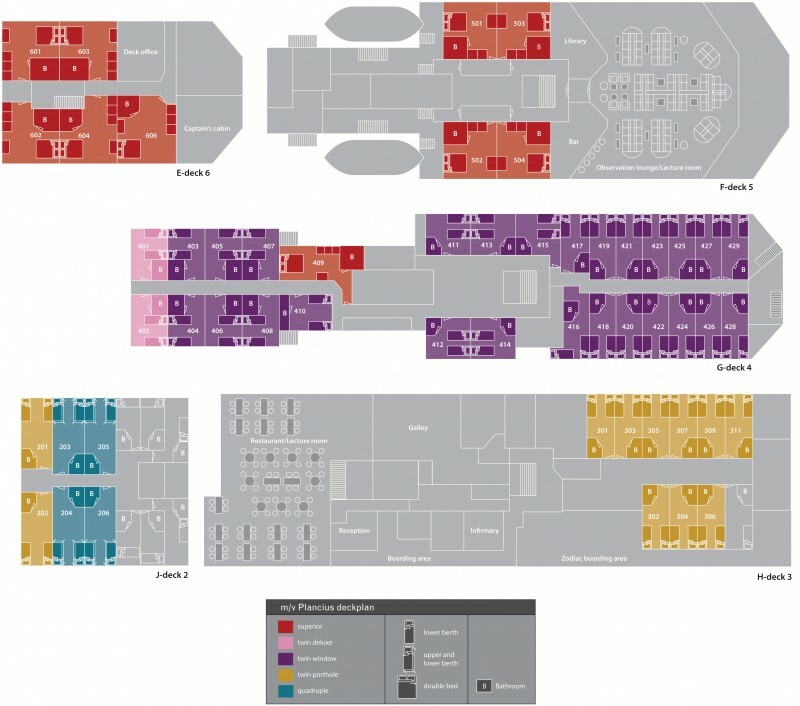 The vessel offers a restaurant/lecture room on deck 3 and a spacious observation lounge on deck 5. 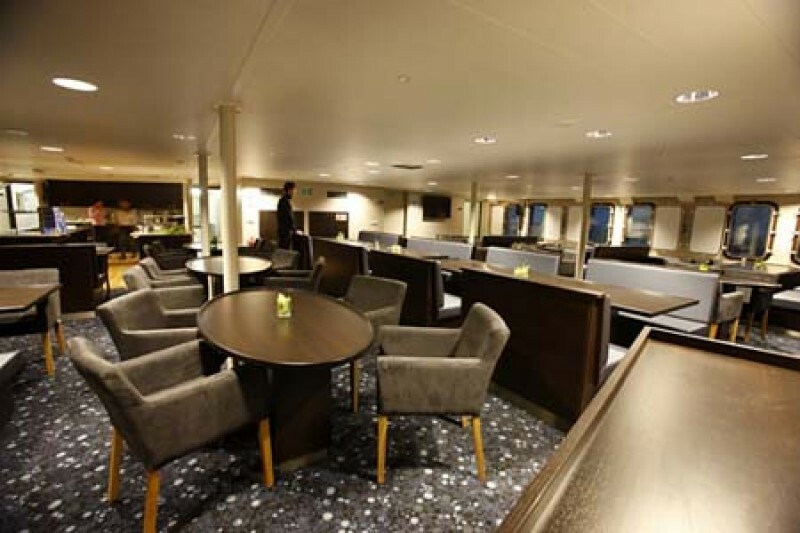 The observation lounge also has a bar with large windows, offering full panoramic views. M/v "Plancius" has large open deck spaces (with full walk-around possibilities on deck 3), giving excellent opportunities to enjoy the scenery and wildlife.